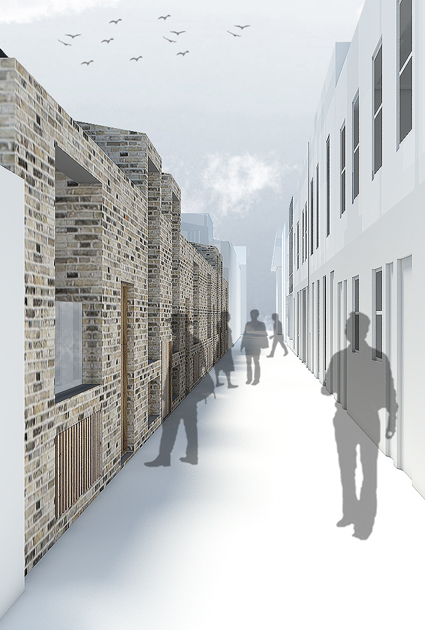 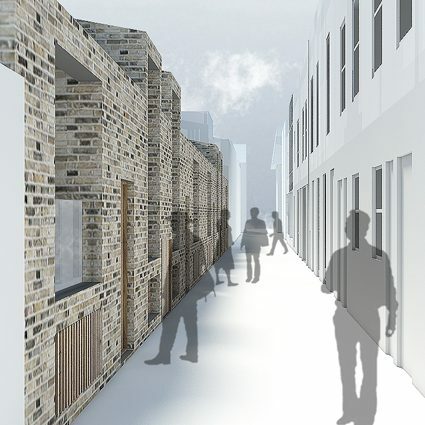 A terrace of four new bespoke family mews houses will replace a row of disused lock-up garages in a densely developed part of Bethnal Green. 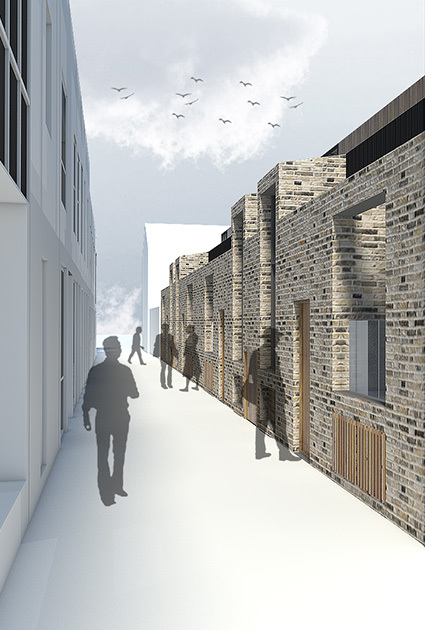 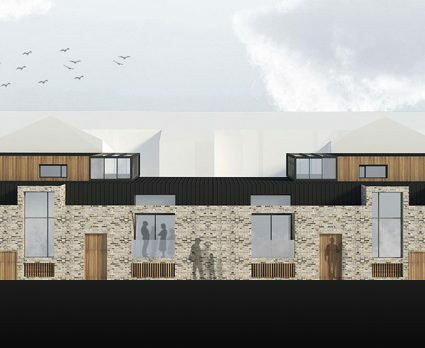 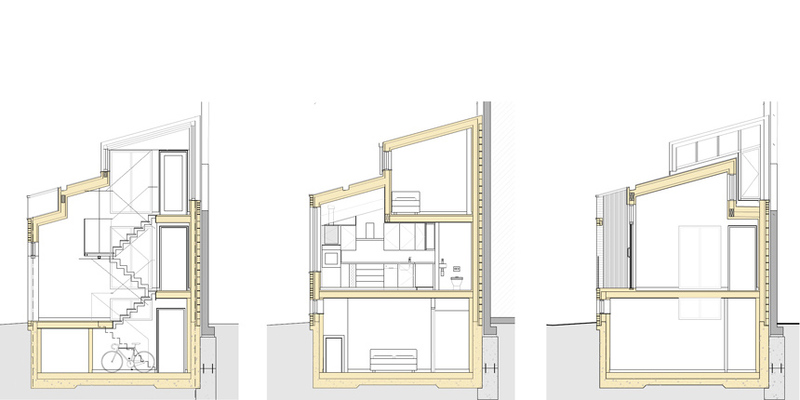 The mews site is tightly constrained by its small footprint and the proximity of surrounding buildings so the design is a sensitive response to its intimate context, conditioned by competing needs for daylighting, views and privacy. 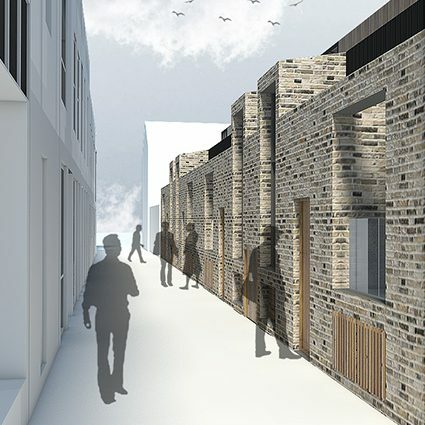 Brick, timber and black zinc external materials are proposed in order to provide a rich and textured street scene. 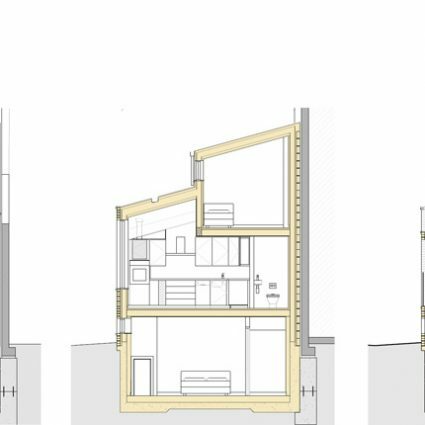 The houses’ split-level interior layouts present an internal landscape of varying volumes, enclosure, daylighting and layered views.